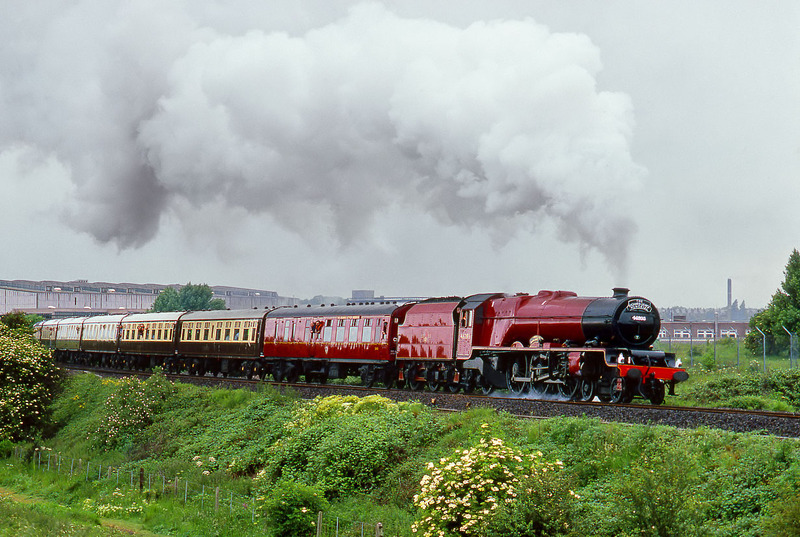 In miserable light, Princess Royal Class 4-6-2 46203 Princess Margaret Rose rounds the curve at Wilmorton, on the outskirts of Derby with the John Player Railway Club Derby to Sheffield 'Richard Levick Memorial' railtour on 2 June 1990. This was a day of intermittent heavy rain. I had already got soaked waiting for this train, as it was running late.